I’m going to start a segment for my Rant Tuesdays called “Underrated” & I’m going to post on people I feel deserve wayyyy more acknowledgment for their talent whether they’re celebrities, youtubers, or just every day people! Let’s begin. To start off this segment, I chose to write about a youtuber who I absolutely loooove.. Alex Faction! 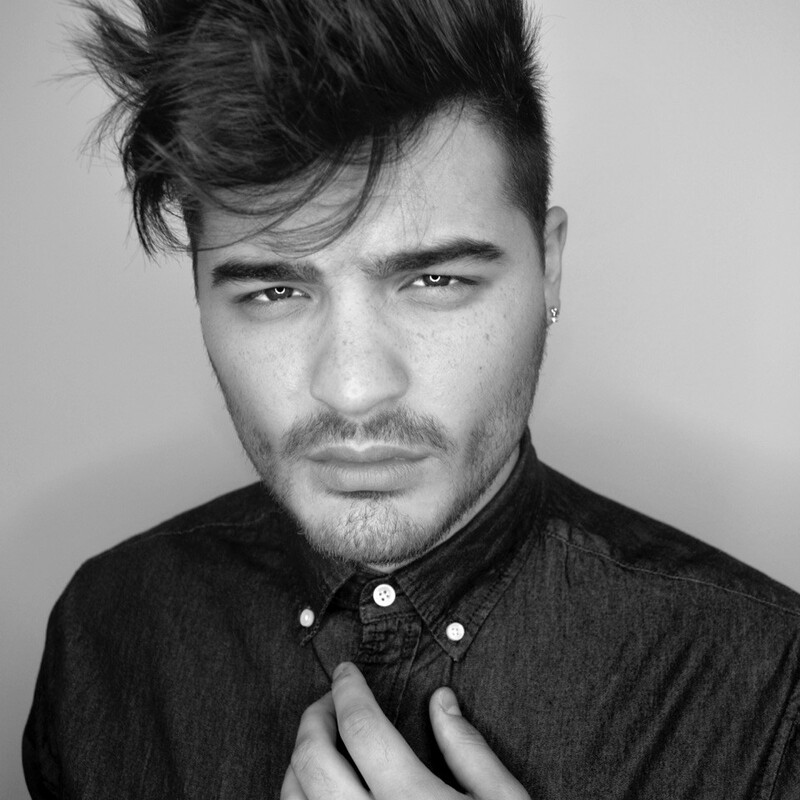 If you don’t know who Alex Faction is, here’s a quick intro on him & a picture of his face. Just recently, I sent him a series of video snapchats telling him how aggravated I was that he didn’t have more subscribers. At the moment, he has over 96 thousand, but at the time, that wasn’t the case. He had over 60 thousand when I sent the rant, and I was truly annoyed as to why he didn’t have more. 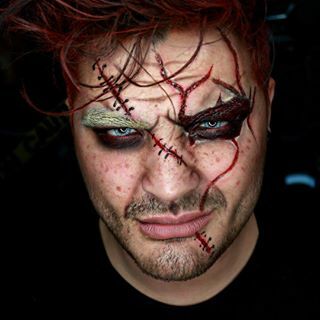 He’s amazing with SFX, makeup, & his alchy hauls are hysterical! Why does the subscriber count annoy me?? Because I once came across a Youtube channel of someone who literally had ONE video..but because they were young & had an accent, it had over a million subscribers. A MILLION. I wish I was joking, but that’s a true story. So of course, when I see someone as talented as him, with a TON of videos..who takes the time to film & edit, not have over a million is upsetting. LIKE C’MON. 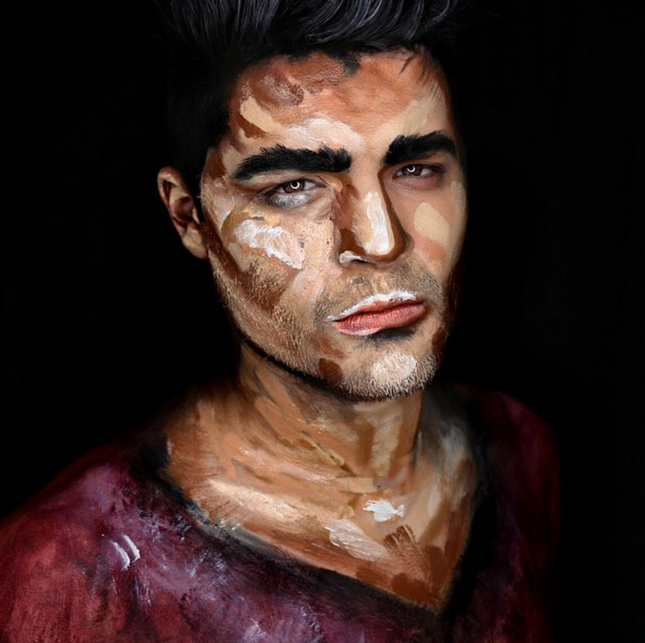 TELL ME THIS MAN ISN’T TALENTED?!?!?!?! You need to check out his channel, see a couple of his videos & then come back and tell me how right I am. Let’s help him get to 100K!!! He’s so close!! He’s currently doing 31 Days Of Halloween where he FILMS AND EDITS a video every single day in the month of October. Um, talk about dedication!! OH & did I mention how he answers my snapchats all the time & he’s such a sweet heart ?!?!? I love him! Here’s where you can contact him! 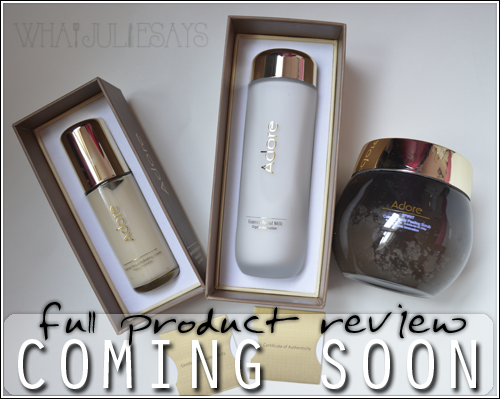 I’m so excited about trying out these products, that I had to give you a little teaser to let you know what’s coming soon on WhatJulieSays! *Disclaimer: Even though these products were sent to me for review, all opinions posted on the products are 100% honest and based on my personal experience using the product. 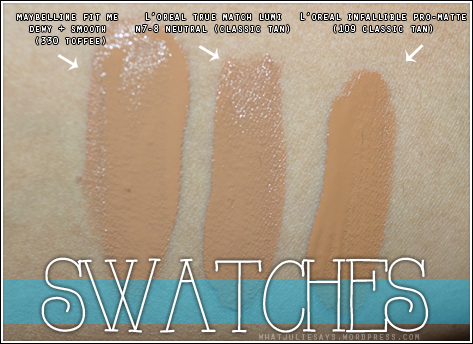 Today’s post is going to be on my foundation collection, but you already knew that based on the title, duhh. 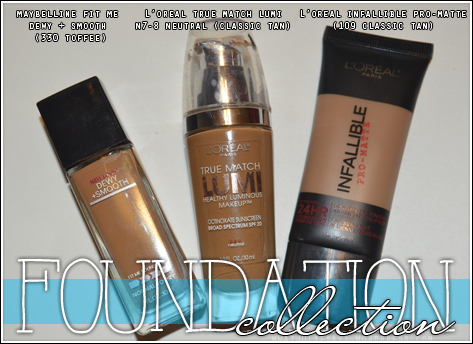 Right now, my collection is small, consisting of only 3 foundations. Maybelline Fit Me (Dewy+Smooth): I like this foundation, but I’m not in love with it. 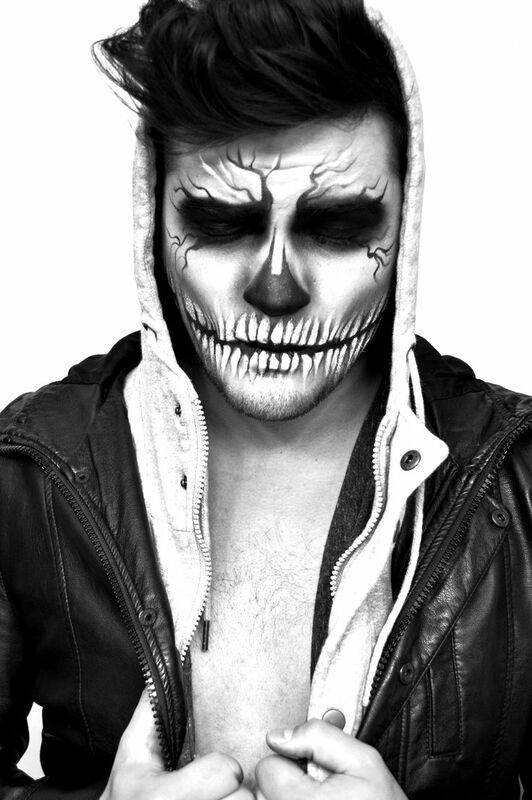 Sometimes, when I’m just playing around with my makeup, I feel like it can come off rather streaky. Also, when it sets and oxidizes a bit, I feel like the shade it off. But the formula for the most part is very light, and has nice coverage. L’oreal True Match Lumi: This right here is my jaaaam! I loooove this foundation. It looks good, gives a nice glow, and doesn’t cake up on my dry skin. If I had to recommend any drugstore foundation, it would definitely be this one. Very light, matches well, lasted me all day with this summer heat. L’oreal Infallible Pro-Matte: Another foundation I would recommend buying, the coverage is amazing! Definitely makes you look flawless! I was scared giving this a try, because it’s matte, and I have dry skin..but that didn’t matter! However, like the Maybelline one, I feel once it sets and oxidizes, it becomes a tad too dark. I tried to correct the “issue” by “baking” with translucent powders, and setting with a slightly lighter powder foundation. Always helps balance it out. What are some of your favorite foundations?? 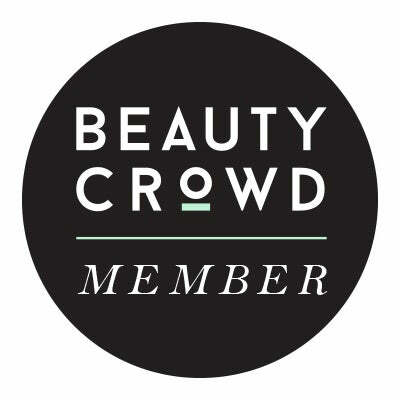 Do you prefer drugstore or high-end?? Also, let me know which ones you recommend for normal-dry skin!